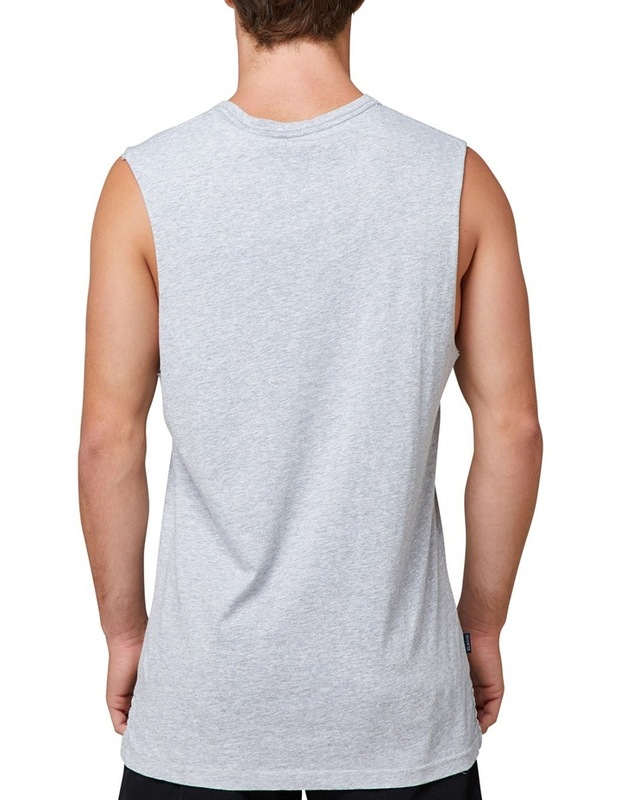 Regular fit muscle tank with step back hem and ribbed neckline. 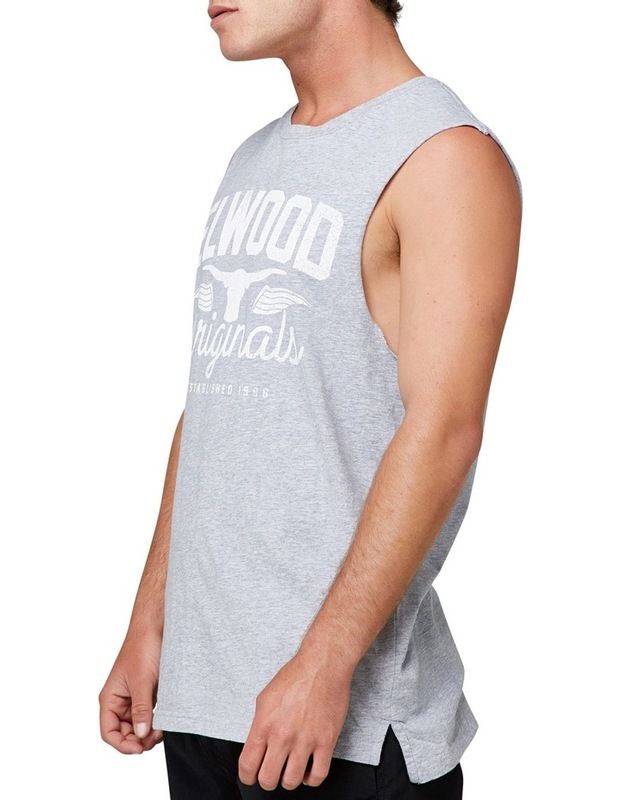 Featuring a distressed semi plastisol print at chest. 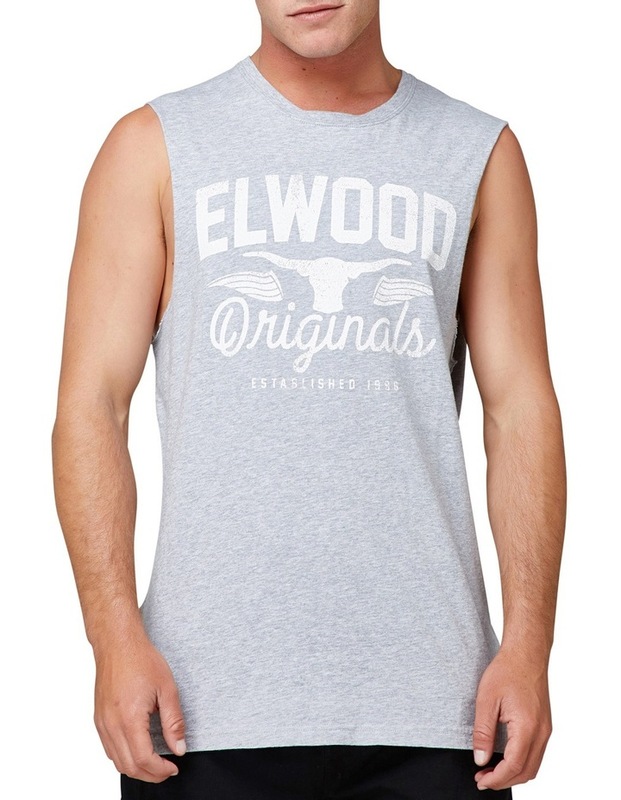 Made from 100% cotton jersey and sand washed to finish for an extra soft hand feel.